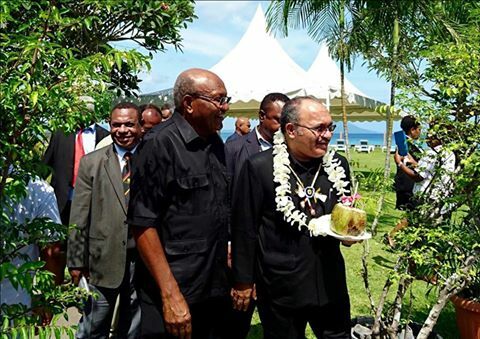 The Prime Minister Peter O'Neill has reiterated that infrastructural development is shaping the future of the nation. PM O’Neill made the comments while opening the Saraga Six Mile market today, and said the Government is working hard to bring enhanced development across the country. “Millions of Kina are being given direct to all the districts and people are seeing the meaning of development,” the Prime Minister said. “This country is changing rapidly and people must share in this growth and be part of economic development. “There are new opportunities for our people with each new project. “This market will make trading easier, generate more business and create jobs. PM O’Neill said the opening of the market demonstrates continuous development taking place within and outside the city and there are more yet to come. Mr O’Neill urged the residence of six-mile areas to see the new market as an opportunity for creating a better income and take ownership by looking after it. He acknowledged the support from the New Zealand Government in partnering with the PNG government in bringing such development into the country.